I am an actor, a writer, a producer, and (occasionally), a director, and I’m lucky enough to be surrounded by a wonderful community of creative people. I believe that actors are incredible, passionate, and generous people. Unfortunately, the life of an actor in Los Angeles tends to wreak havoc on even the most grounded, gifted, and good-hearted folks. Having just come off our production of PL.A.Y Noir, I spent a lot of time with 11 other actors, all of whom are not only seriously talented performers, but are exceptional people. But the sad reality is that it seems like these are exactly the types of people who are most often plagued by self-doubt and insecurity. It’s the smart ones, the really gifted ones, who get most offended by the game of being an actor in L.A., and end up getting the most hurt by it. It’s true, there are a million ‘if onlys’ standing between you and what you think will make you happy. If only I had an agent. If only my agent was better. If only I was getting more auditions. If only I was getting the right kind of auditions. If only I booked that one job, my life would change forever. And on and on. In a town populated by b.s., when so much seems senseless and unfair, it’s easy to turn cynical, jaded, and bitter, especially if you’re smart enough to know better. So what to do? I’ve always believed that the main reason people become frustrated and angry is that they feel powerless to change their situation. The antidote to this helpless feeling is action and in the case of actors – or any other artists – the answer is to turn all that negative energy into the thing you were born to do: create. Write something you’d like to perform, shoot a short film, get together with your friends and put on a show. Creating your own projects is a hell of a lot more work than waiting for someone to give you a job – I can speak from experience here – but it’s also an incredibly powerful feeling to take matters into your own hands and be the boss of your own life. And there’s a curious by-product of taking action that I’ve noticed again and again in my own life: whenever you’re busy doing other things – creative things – opportunities come in in ways they never do when you’re sitting around, waiting for the phone to ring. I think the only way for an actor or any other creative type struggling to ‘make it’ to stay sane is this: stop waiting for things to happen. Stop blaming other people for what you didn’t get. Stop making excuses for why you can’t create your own work. There will never be enough money or time, and you’re right, it will never be good enough to meet your own monumental expectations. Do it anyway. Most of all, stop agonizing over what you have no control over, and stop waiting for someone else to give you permission to be great. Be great anyway. And here’s the magical part: as a performer, you are storyteller, blessed with the gift of being able to change people. On any given night, an audience member coming in to watch your play may really need to hear the story you have to share. Maybe they’re sad and lonely, maybe they’ve had their heart broken, or maybe they just had a crappy day and want to laugh and forget about it. As performers, we get to tell stories that have the power to move people, to make them feel something, to allow them to – just for a little bit – forget about their problems and the baggage of their day. That’s a powerful gift and it’s our responsibility to use it, as often as we can, and as passionately as we can. So stop waiting for other people to give you permission to do what you were born to do. Get out there and do it. Your unique voice, and your decision to use it, is something that nobody can ever take away from you. Getting more fun out of life. When did life become so much work? Seriously. Have you seen that commercial – I think it’s for a cruise line – where the voiceover says something like ‘Do you ever feel like everyone’s having more fun than you? They are.’ – and then they tell you to go to Aruba or some other tropical island to rediscover your fun? I hate that commercial. I mostly hate it because that damn voiceover guy is right. Everyone is having more fun than me, and it pisses me off. Even with stuff that is supposed to be fun, it always ends up being work, too. Take, for example, the play that James and I are producing: P L.A.Y Noir. The whole point of producing a play is so that we can act and direct and do all the fun creative stuff that we love to do, play roles we don’t get cast in, and collaborate with our friends. Super fun, right? I’ll tell you what’s not fun: all the crap you have to do as a producer to make sure the show happens, before you can get to the fun. It’s not fun to wrangle schedules for 5 one-acts with overlapping casts, 12 actors, and 5 directors. It’s not fun to send 50 emails a day about all kinds of logistical stuff you didn’t realize you needed to worry about, because it was supposed to already be taken care of. It’s not fun to stress about finding rehearsal spaces, because the theater is never available. And it’s not fun to worry about allll the stuff you shouldn’t be worrying about yet because it’s too early to worry about ‘potential’ problems that are still weeks away, when you have current problems right in front of your face that you need to deal with here, today. Sigh. Do you see my issue? It’s quite possible that I need to meditate, or take a valium, or both. But short of chanting or medicating myself, or taking a Caribbean vacation (I’m still mad about that commercial), what’s a girl to do to inject more fun into her daily life? I think it has something to do with learning not to take things so seriously, to enjoy the journey, to take fun breaks (Really? Am I at the point in my life where I need to schedule time for ‘fun’? ), to not sweat the small stuff. But for an admittedly type A control freak compulsive worrier like myself, ‘learning’ how to pause the craziness and smell the roses is damn hard. I guess admitting that you have a problem is the first step toward recovery. So here I am, admitting it. I want to have more fun and not stress about everything, but I have no idea how to do it, or where to begin. If you have suggestions – no matter how simple, or alternatively, how extreme – I’m open to hearing them. In the mean time, it’s Friday, so I guess I should get started on that fun thing. I sat down to write this blog as a rant about flaky people, and actors in particular. 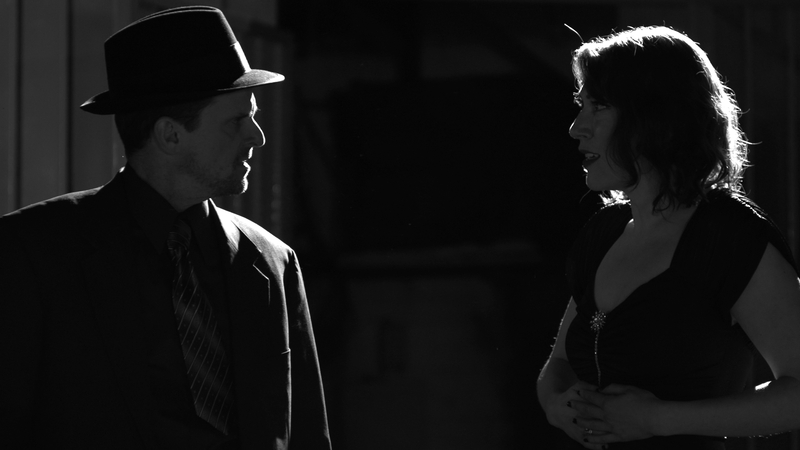 We’re casting a couple roles in the film noir-inspired one-act play fest – P L.A.Y Noir – that James and I are producing, and held auditions last weekend. When looking for actors, I first reached out to people whose work I know. When the friends I wanted to bring in who were right for the roles we needed to cast weren’t available, I asked for referrals from friends whose opinion I trust, and when that still yielded few results, I resorted to my least desired option and posted a public casting breakdown. Why would I be so reluctant to cast an actor whose work (and more importantly, work ethic) I don’t know? Here’s why. When putting together one round of auditions, I easily invested at least a dozen hours of my time contacting people, narrowing down selections, contacting more people, reviewing resumes, sending out audition sides and directions to the audition location, and then printing out/stapling/highlighting the appropriate sides per character. I’m not complaining, because it’s a job that needs to be done, but I just want you to know that putting an (organized) casting session together is not a small feat. It takes some doing. As last weekend was a holiday weekend (Easter/Passover), I called actors we were interested in to check on their availability. I talked to several of them on the phone; several others left me voicemails or emailed me to confirm that they were available to come in. All told, by the Thursday evening before our Saturday auditions, I had confirmed 13 actors to come in and read for us. By Friday afternoon, three of the actors who the day before had told me they were available had cancelled. One of them had a legitimate excuse; the other two were pretty lame. One girl actually had the nerve to tell me to call her the next time I was casting something. Yes, because that’s exactly what I’m looking for: someone who’s not even reliable enough to show up to an audition that they confirmed the day before. Next. By Saturday morning, another actress had cancelled on me. Another flake, another lame excuse. Something like, ‘the thing I was going to later that day got moved up by a few hours.’ Really? Now we were down to 9 actors. Still, not too terrible. Let’s see if they actually show up. All told, out of the 13 who originally confirmed, we read six actors that day. Out of the 9 left on the ‘confirmed’ list, two never showed, and one called me to cancel while were at the audition (her story, that she got held up at another audition, I actually believed). One of the no-shows didn’t surprise me, because, when I called to invite her to the audition, she answered her cell phone while on the treadmill at the gym, talked to me while running (I’m not joking), and when I told her why I was calling, it was clear she had no recollection of submitting for the project, and no idea what I was talking about. A-mazing. So what is the moral of this story? As I said in the beginning of this post, I originally sat down to write a rant about flaky people. But it has been several days since these events occurred and my irritation has subsided, so I’m looking at this from a more philosophical vantage point. What strikes me as fascinating is why all of these people who claim that a successful acting career is their dream, who are striving to succeed in one of the toughest businesses on earth, when it comes down to actually having an opportunity to do what they say they love, would waffle. Is it self-sabotage? Fear of success? And lest you think this was just an isolated incident, we’re holding another round of castings this weekend, and I’m experiencing a similar phenomenon. So what’s the deal? I can only speculate. But I do know this: while actors seem to be particularly guilty of the crime of flakiness, it’s not just them. More and more, I’m noticing the phenomenon of the ‘maybe’ commitment. In other words, agreeing to a commitment and sticking to it – a plan with friends, a job, a date, whatever – only if something better doesn’t happen to come along. I know that stuff happens. Life intervenes. Things come up. Plans change. Have I never bailed on a commitment that I’ve made? Of course not. But I can tell you this: in my life, as well as in my experience producing theater, the people who are reliable, the people who show up when they say they’re going to and who do what they say they’re going to do are like life rafts. They are rocks of Gibraltar. It shouldn’t be this way, but unfortunately it is. Because, here’s the truth: if you are a person who consistently and reliably follows through on your commitments, you are one person in ten thousand. It doesn’t matter what industry you’re in or how you choose to make your life, this act alone will make you stand apart from the crowd. Because it does not matter what you say you’re going to do. Talk is cheap. It matters what you actually do. She was a real classy dame, a siren in silk stockings. The type of broad whose shade of lipstick alone could halt the traffic on Sunset Boulevard. . .
Film noir is a cinematic term used primarily to describe stylish Hollywood crime dramas, particularly those that emphasize cynical attitudes and sexual motivations. 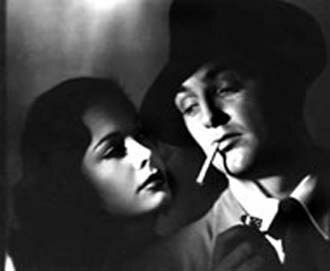 Hollywood’s classic film noir period is generally regarded as extending from the early 1940s to the late 1950s. Crime, usually murder, is an element of almost all film noirs; in addition to standard-issue greed, jealousy is frequently the criminal motivation. In other common plots the protagonists are implicated in heists or con games, or in murderous conspiracies often involving adulterous affairs. False suspicions and accusations of crime are frequent plot elements, as are betrayals and double-crosses. Film noirs tend to revolve around heroes who are more flawed and morally questionable than the norm, often fall guys of one sort or another. Certain archetypal characters appear in many film noirs—hardboiled detectives, femme fatales, corrupt policemen, jealous husbands, and down-and-out writers. That’s right. Murder! Suspense! Mayhem! Oh my. My husband James and I are currently at work on a slate of film noir-themed one-act plays aptly named Play Noir, scheduled for production in June at our artistic home, the Actor’s Workout Studio in the North Hollywood Arts District. Scripts have been chosen and casts and directors are being nailed down as we speak. We’ll produce (through our company, Punk Monkey Productions) five short plays, all revolving around classic noir themes like greed, lust and betrayal. Expect trench coats and fedoras, slinky black dresses, ruby red lips, and lots and lots of mood lighting. Over the next few months, I expect you’ll hear a lot about Play Noir as James and I are not only producing the show, but acting in it and directing a piece or two as well. It is, as we say, a real passion project. 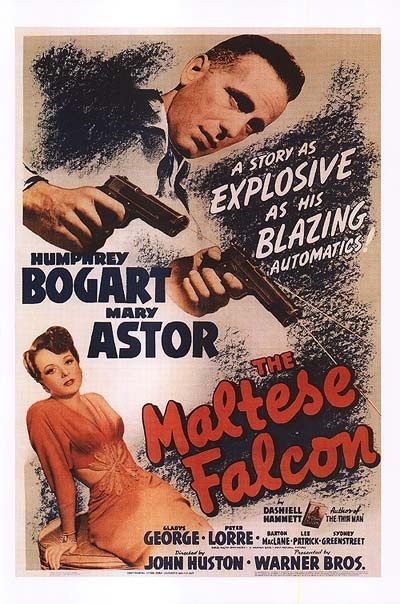 So brush up on your Maltese Falcon, your Third Man, your Big Sleep, and stay tuned for all things Noir.